Security and compliance is an integral part of our everyday work. Our business continuity and security portfolio includes solutions to prevent intrusions, data leakage or data loss on all levels of the IT infrastructure. Certified security professionals are up to date with the latest developments and trends. Our state of the art technology is able to identify and respond to threats in real time. Our solutions are by default protected by end-to-end multi layered security solutions on data-centre, network and infrastructure levels. We protect sensitive and personal data via a twin data-centre strategy supported by a multi storage, backup and recovery scenario’s. In addition we propose multiple layers of clustered firewalls, intrusion detection systems and certified encryption. We do everything we can to prevent data leakage, or a compliance breach. The storage of data is done in separate secure containers with granular access rights, encryption in transit and at rest. We guarantee the confidentiality of data. Performing a risk assessment is of crucial importance for the continuity of IT services. Preventing abuse and identifying vulnerabilities in new and existing IT environments is an important aspect of our work. 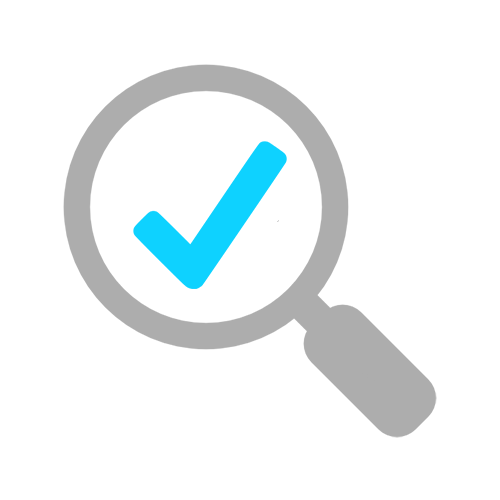 Our audit and consulting services foresee that any IT environment is systematically reviewed. Performing a risk assessment is of crucial importance for the continuity of IT services. Preventing abuse and identifying vulnerabilities in new and existing IT environments is an important aspect of our work. Our audit and consulting services foresee that any IT environment is systematically reviewed against the latest known threats, security and regulatory challenges. A risk assessment usually results in renewal of hardware or software components or migration of data to our online backup solution. We work according to a proven set of internal governance, risk and compliance procedures to make sure your workloads and applications are managed in a sustainable and compliant manner. Our architects and service managers make a detailed analysis of the key components in your existing on premise or cloud infrastructure. Continuous improvement of your platforms, workloads and applications based on sufficient measurable data. A report presenting improvements and solutions and how to achieve them. Monthly, quarterly and yearly security scans, audits and evaluation reports are used to prove compliance and security of your new and existing cloud or IT environment(s). The availability of your workloads and applications is crucial for the productivity of any business. To deliver the continuous level of high quality we monitor the crucial components in your environment such as network, storage, systems and applications. Solutions are by default designed with the highest possible availability in mind and many components are implemented redundantly. 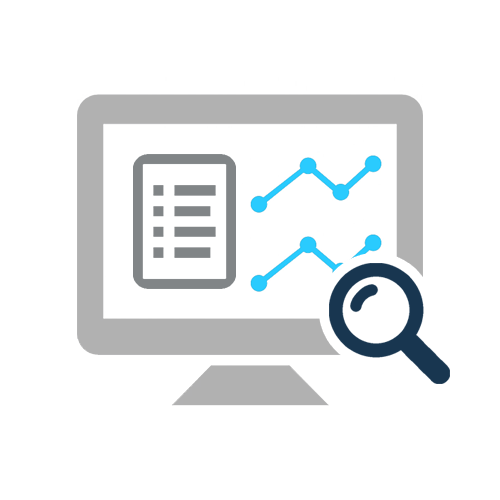 Many customers opt for our custom Monitoring Services where we focus on proactively analyse data to find improvements, risks and discover trends. We can make slight adjustments in your infrastructure without even interfering with your business. We monitor, make backups, install updates and patches, communicate changes, monitor the operations and deliver the desired performance. Taking care of the daily management of all your IT services. Permanent monitoring of the capacity and usage of all components. If we foresee problems or issues, our team will contact you in order to prevent them. A report providing an overview of how systems and applications have performed in relation to the metrics agreed upon in your Service Level Agreement. State of the art monitoring systems so our support engineers can actively intervene and solve any problems. The loss of business critical data could have an enormous impact on any business. Due to the new General Data Protection Regulation (GDPR) and the stringent regulatory requirements for personal and confidential data, companies cannot afford to have a data breach. Prevent loss of business critical and personal data, and ensure the continuity of your business. Global IT Services PSF has built an enterprise-level (Online) Backup solution with a wide array of security features, retention levels and compliance tools. A data breach, compromise or loss of business critical data could have an enormous impact on any business. Due to the new General Data Protection Regulation (GDPR), together with the stringent regulatory requirements for personal and confidential data, companies cannot afford to have a data breach. Prevent loss of business critical and personal data, and ensure the continuity of your business. Together with our technology partners we have built an enterprise-level (Online) Backup solution with a wide array of security features, retention levels and compliance tools. Backup as a service is available for all (personal) data such as mailboxes, archives, repositories, virtual file servers and data stores. Online Backup is by default enforced for every business critical application, database, workload and server. At a scheduled moment in time a snapshot is taken of your data store, application, or server, including the operating system. The snapshot of your server is by default stored with a retention period in a data-centre and storage system that is separated from your production environment. 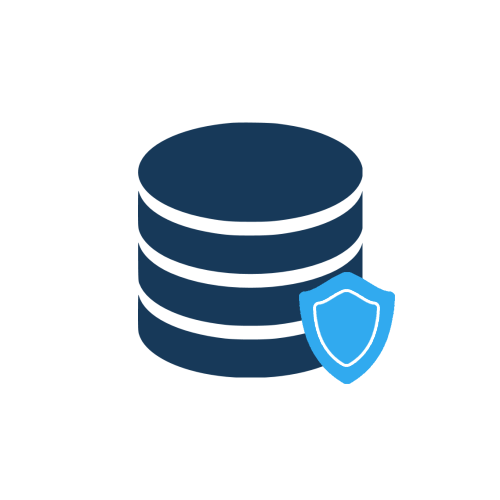 The backup is secured in a Tier IV designed data-centre and data recovery can be realised at any time. We provide extended retention periods for any type of backup or archiving from 7 days up to 10 years! 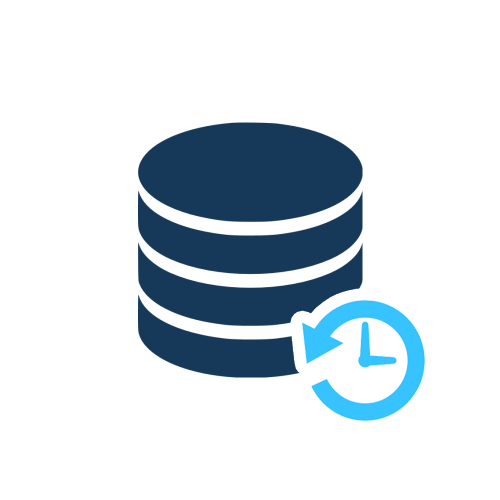 An automated backup policy for any type of data, executed overnight and configured with flexible cycles and retention limits. Offering instant recovery options for complete virtual machines, mailboxes, documents and SQL data. 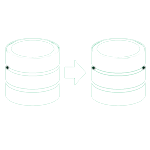 During backup operations, the data is always encrypted for transmission. In addition customers can chose to encrypt the data at rest with an AES-256 Encryption. Flexible, asynchronous replication delivers high availability based on replication and deduplication technologies. We make sure your data is available at several locations to reduce downtime to a minimum. Our engineers make sure all backup jobs are successfully completed and meeting the defined policies. Via automated reporting mechanisms the capacity utilisation and growth of the data stores is monitored. Downtime and loss of business critical and personal data can be disastrous to any business, reputation and brand. Disaster recovery (DR) involves many strategies that include people, processes, automation policies, and technologies. Downtime and loss of business critical and personal data can be disastrous to any business, reputation and brand. Disaster recovery (DR) involves many strategies that include people, processes, automation policies, and technologies. To quickly anticipate on a failure of applications, systems or data centre, we can automatically and continuously replicate your servers, applications and data. Opt for automatic fail-over of individual servers or complete environments, networks and security policies, while minimising downtime (RTO) and data-loss (RPO). By activating a multi-site availability, the disaster recovery scenario provides for fast recovery times and optimised speedy recovery and restoration of data and applications in the event of almost any IT disaster. Automatically fail-over of individual servers, networks and security policies while causing minimum downtime to your business. 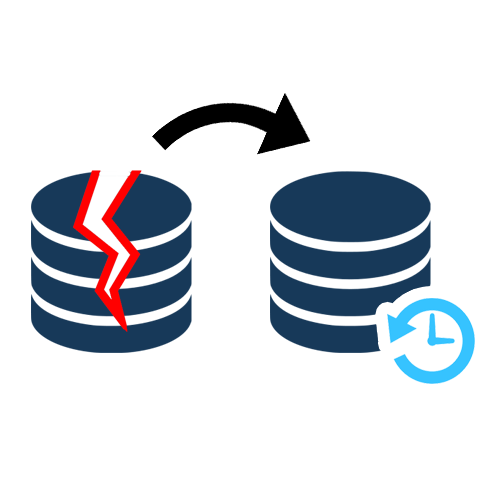 Fast recovery times and multi-site availability at a fraction of the cost of conventional disaster recovery. Lower the total cost of ownership by decreasing operational expenses, through automation and software divined data centre technologies. At least once a year a controlled disaster, fail back of virtual machines, applications and the recovery to original sites are tested. Abuse and interception of personal and confidential data is a serious threat anyone should take seriously to prevent. Technologies such as advanced micro segmentation Fire-walling, Intrusion Detection and Prevention Systems and Deep Packet Inspection(DPI), reduce the risks of data-breach. State of the art technologies allow for Web & URL filtering and customised policies on IP-, protocol and application level. Furthermore we leverage the latest encryption technologies to encrypt data at rest. Our solutions are in line with the General Data Protection Regulation and Luxembourg compliance standards for data protection. We can help ensure your data is suitably protected. Combining next-generation firewall security with advanced threat prevention to protect systems and data from advanced cyber threats. Analysis of all traffic determines the applications and the content within. A company security policy can be easily implemented, enforced and managed. Sensitive and compelling data will be isolated in secure containers with access control policies based on the application and the user. Additional controls to verify a user’s identity together with different technologies such as private keys, security tokens, one-time passwords and other methods to provide that necessary extra layer of security.